Wyoming Territory 150th Anniversary Rifle - Wellington LTD. In 1868, the Wyoming Territory was formed. Since that time, Wyoming has made history and created its own heritage. With the help of its industries such as agriculture and the railroad, the area has prospered in commerce. This area is home of the cowboys and lives by that code. Self reliance and independence are core values that are seen throughout the state. The area also bolsters the best wildlife and scenic areas of anywhere in the United States. 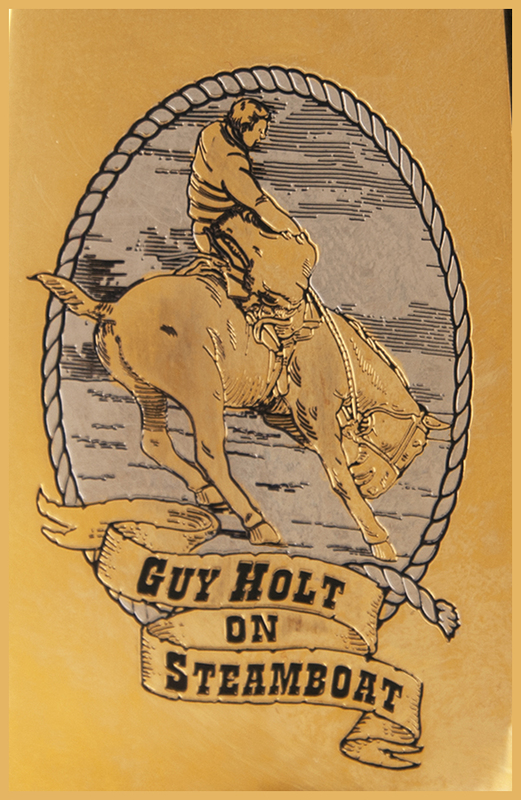 This love of Wyoming is portrayed on our limited edition rifle. Utilizing 24 Karat Gold, nickel and black copper, the detail on the receiver is impeccable. This edition will be limited to only 86 numbered rifles. This small amount accounts for less than .1% of the population. Call us today to see how you can get yours! Starting with the First Battle of Kernstown, fought March 23, 1862, Maj. Gen. Thomas J. “Stonewall” Jackson began his campaign through the Shenandoah Valley. Jackson’s mastery of the local terrain and his ability to keep the Union Army are tactical lessons still studied today. In honor of this great campaign, Wellington LTD, in collaboration with the Shenandoah Valley Battlefield Foundation is proud to present our Shenandoah Valley Campaign 150th Anniversary Special Edition.The Shenandoah Valley Campaign 150th Anniversary Special Edition is a Collector’s Grade Henry Big Boy .45LC rifle with blued barrel. The engraved artwork is set on the natural brass of the receiver and defined with jewelry-grade nickel, making it a new and unique design for this work of art. Images on both sides of the receiver, forearm guards, and stock pay tribute to, among others, General Stonewall Jackson, Brigadier General Turner Ashby “The Black Knight of the Confederady, The First Battle of Winchester, The Battle of Cross Keys, and the Battle of Port Republic, all taken from this incredible historic period! Local artist, Mr. Keith Rocco of Traditions Studios in Edinburg, VA graciously permitted the use of his painting of the Battle of Port Republic in this edition. This is a limited edition and will be a family heirloom for years to come. Laramie Wyoming 150th Anniversary – Limited to 12! In honor of the founding of the City of Laramie, Wellington LTD is proud to present your 150th Anniversary Special Edition. Built on a Henry .45 LC. caliber rifle, plated in 24-carat gold. We have honored Jacques La Ramie, Laramie Depot, Wyoming Territorial Prison, Dale Creek Bridge and Guy Holt on Steamboat. To mark this historic occasion Laramie and Albany County will celebrate the 150 years of HistoryUnion Pacific construction crews laid the track connecting what is now downtown Laramie to the rest of the country on May 4, 1868. The Transcontinental Railroad’s construction march across southern Wyoming. It’s a story of incredible engineering achievements and boisterous “Hell on Wheels” towns.Dale Creek bridge was the longest bridge on the UP at 650 feet long and 130 feet to gulley floor. East approach was at 8247 feet elevation, and 2 miles west of Sherman town. Sherman was the highest spot at 8640 feet. Sherman was just 19 miles south-east of Laramie, and downhill to 7280 feet on the plains. The bridge was replaced with a steel bridge once the rails met in 1869 in Utah.Rails went thru Laramie on May 4, 1868, soon after a station was built. Lost in a fire in 1917, the current RR station was built in 1924.The last photo is old Wyoming State Territorial prison that housed among others, Butch Cassidy. Signed into law by President Abraham Lincoln on July 1st, 1862, and completed in 1869, the approval and building of a “Transcontinental” railroad dramatically changed the future of our nation and brought us together through “two thin ribbons of steel”. In celebration of this signature event, Wellington LTD is proud to present The Transcontinental Railroad 150th Anniversary Special Edition. Built on a collector’s grade Henry .45 LC. caliber rifle, the barrel, receiver and buttplate are covered with highly detailed images inspired by the people, places and events from the Transcontinental Railroad’s 150 years history! Considered Robert E. Lee’s greatest strategic masterpiece and one containing of the South’s greatest loss, the Battle of Chancellorsville is studied to this day by both tactians and historians alike. In honor of this great campaign, Wellington LTD, in collaboration with the Friends of WildernessBattlefield is proud to present our Battle of Chancellorsville 150th Anniversary Special Edition.Built on a Henry .45LC cal. carbine, the brass receiver and wood on this edition are richly engraved in jewelry grade nickel with scenes taken directly from this famous battle. Images pay tribute to, among others, Generals Robert E. Lee & Thomas “Stonewall” Jackson. Other images speak to the cost the nation paid during this terrible conflict.